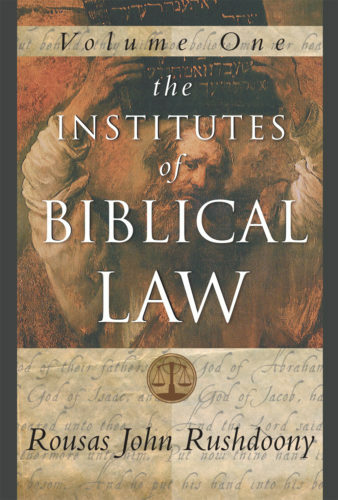 The Institutes of Biblical Law has as its purpose a reversal of the present trend. it is called "Institutes" in the older meaning of the that word, i.e., fundamental principles, here of law, because it is intended as a beginning, as an instituting consideration of that law which must govern society, and which shall govern society under God. The law, then, asserts principles and cites cases to develop the implications of those principles, with is purpose and direction the restitution of God's order.